Wanted to buy/rent/sell your property? But you don't want your personal info to publish to public, wanted to avoid all the cold call from property agent. Or if you're a property agent, you can now save budget on distributing flyer & internet marketing, save energy on putting illegal roadside banner, avoid being decline while cold calling. But how? 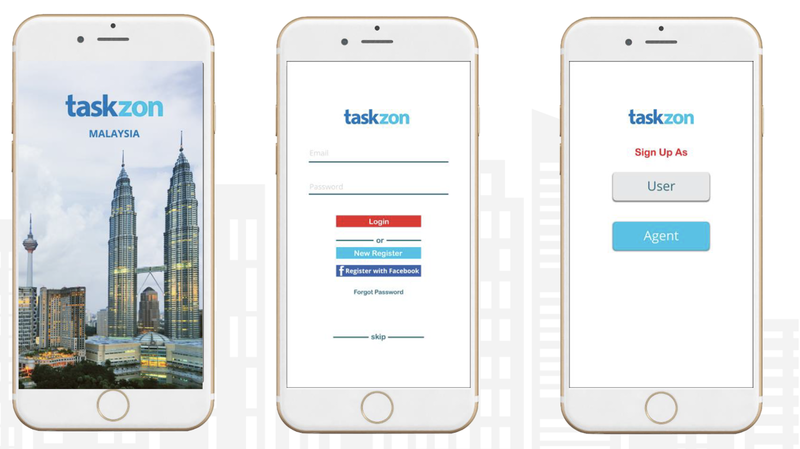 just simply download the TaskZon apps from your google play store (coming soon in Apple Store). What is TaskZon? TaskZon is a company that builds upon the dream to simplify the interaction between agents and buyers. TaskZon are a group of specialists consist of own Designer Team, Programmer Team, Marketing Team & Consultant Team that created some of the best platforms for a few of the industries. 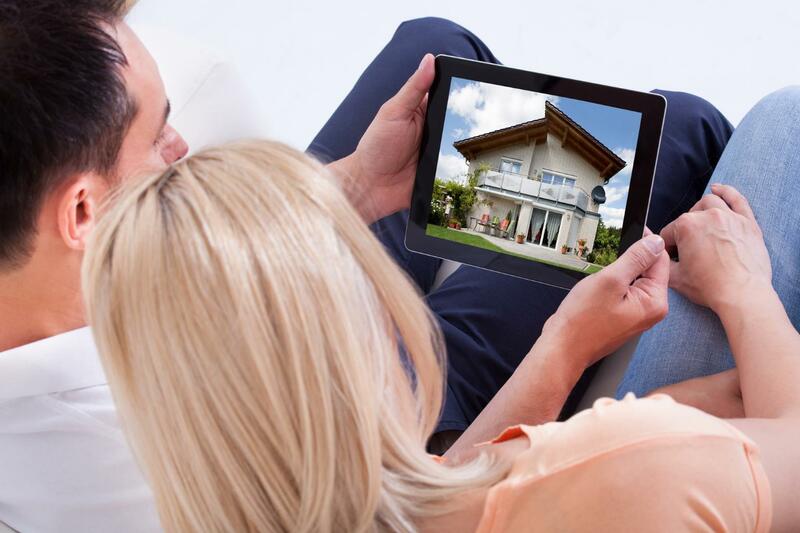 TaskZon Motto is to developed a simple and user-friendly apps that buyer can easily download and find their dream home. 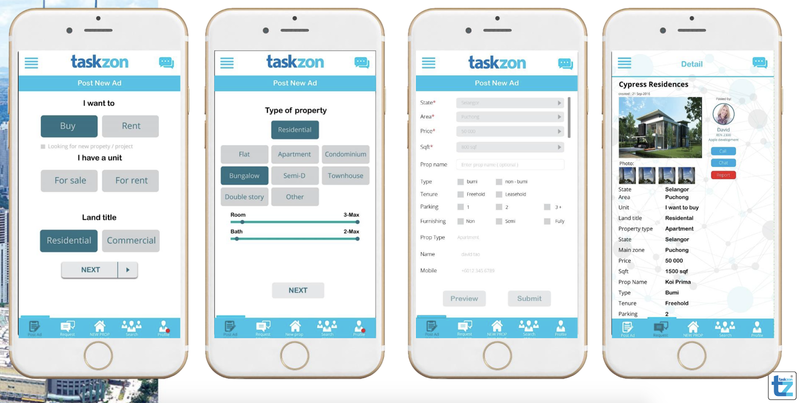 For agents, TaskZon are trying to revolutionize the property industry and creating more client and profit for them. 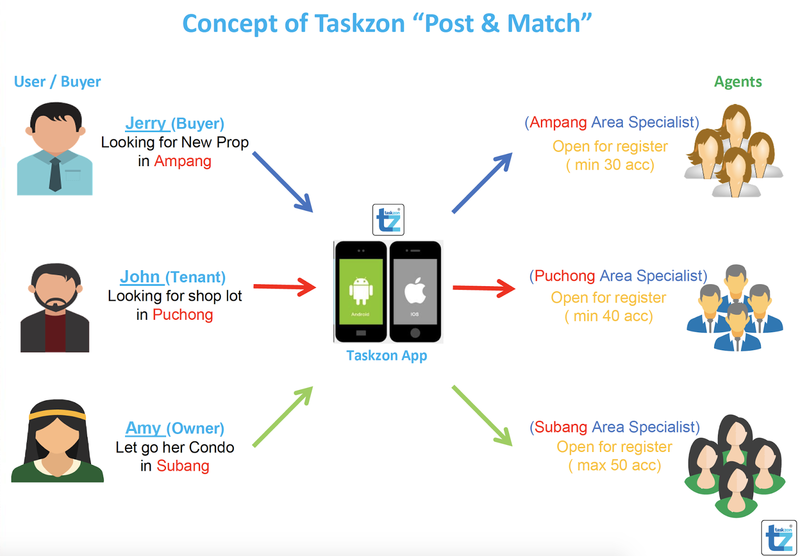 Look at the infographic above, the concept of TaskZon is simple as post and match only. 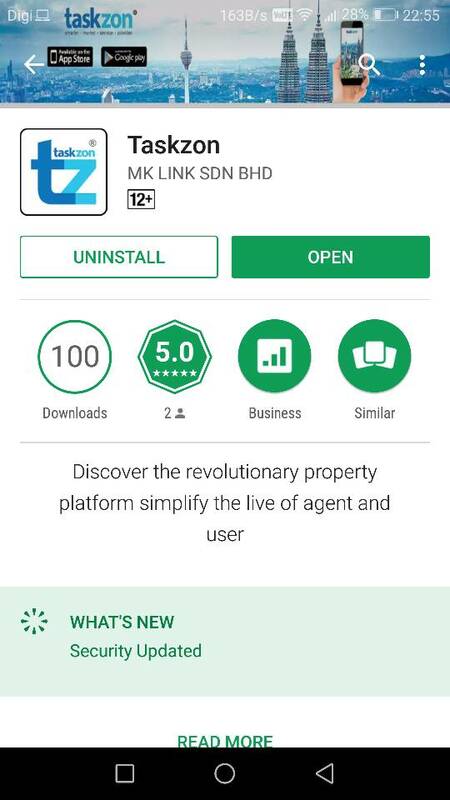 With just a few simple step, agent will able to connect with buyer/seller. User will be only connected with agent who is specialized at particular area only. For example, if you are looking for property at Damansara area. 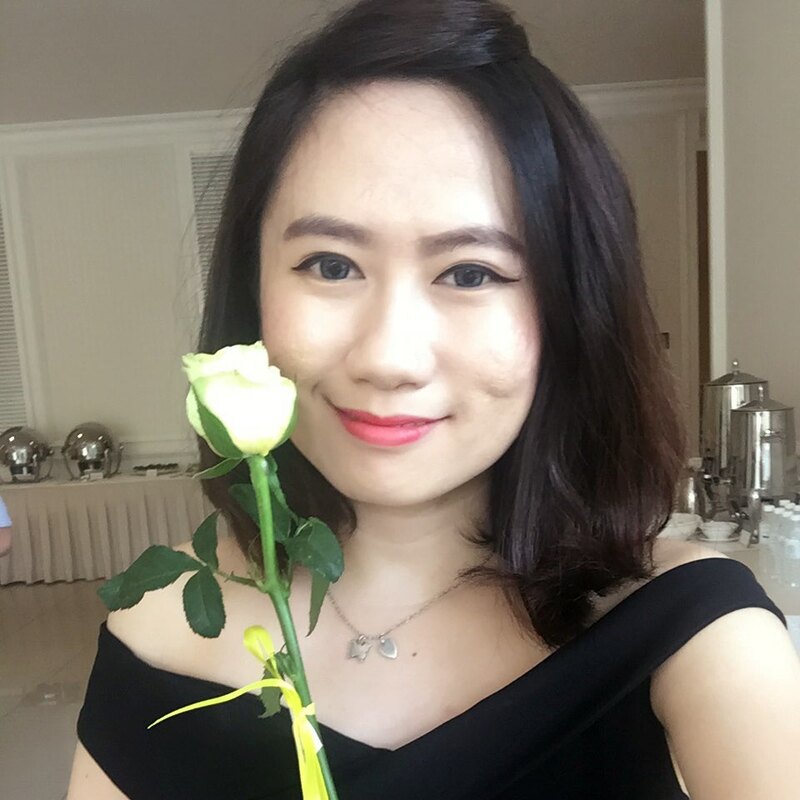 Only agent who register & specialized at Damansara will be connected to your request. But first, let's download the apps. Just type TaskZon in your google play store. Next, register your account. You can choose to sign up as User or Agent. (A annual fees require for Agent). After a few simple step registration and the apps is ready to roll. The user interface is simple and user-friendly. 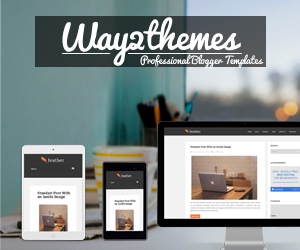 With just a few simple steps and less than a minute, a new post listing can be done. Just follow the steps, key in the require info and your desire property info. 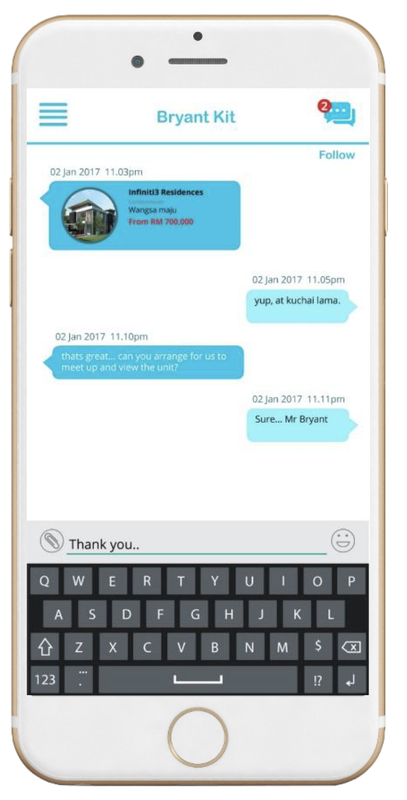 There is even a private chat room built in the apps, allowing the user and agent to communicate without releasing your personal info. Let me do a summary of the user benefit. Deal with verified and qualified agents. 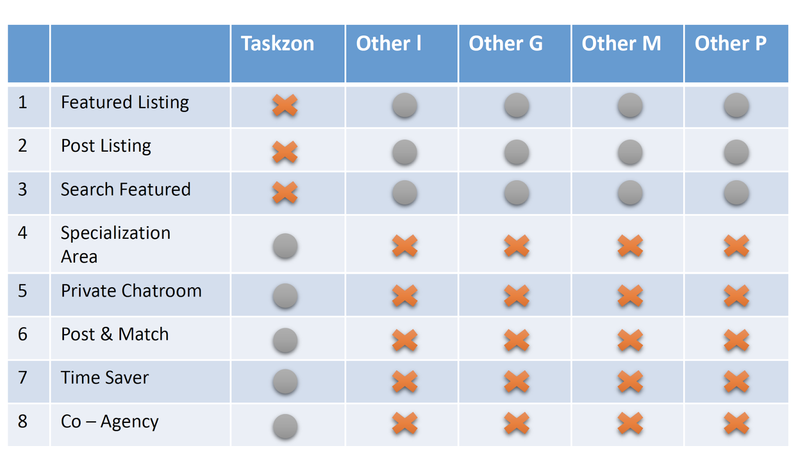 Below is the comparison table between other property website with TaskZon. As we can see TaskZon offer services that no other does. Okay, why not experience the apps yourself now? Confirm sure you'll be satisfy.